We at block print sarees are highly acclaimed Sanganeri print cotton salwar suit material manufacturer. Each and every material is being manufactured using high end technology and supreme material. 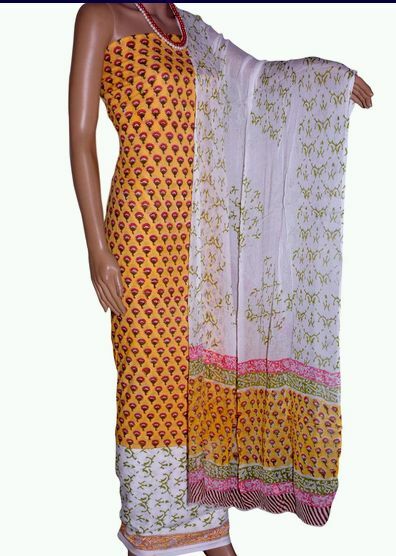 When it comes about comfort of the wearer, nothing can beat the fabric of Sanganeri print cotton salwar suit material. Keeping this in mind, we as a Sanganeri print cotton salwar suit material supplier make sure that each and every product is intricately designed to reach the expectations of the customers. Lastly, in order to make sure that our products are completely free from any flaws or defects, all our products reach to our clients after passing a quality test.